I didn't get to the St. Vincent & The National show early enough last fall to see Annie Clark perform, so I decided to go see her this coming Friday. Then I remembered that Scheduletwo.com left me a note on my Last.fm page that they had videos of her live, so went to check it out. This makes me really look forward to Friday. In looking up info on her and the show, I came across this. 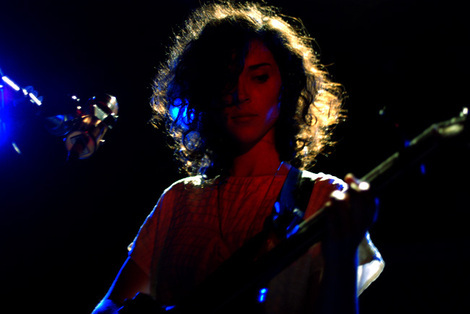 There are plenty more great pics and a review of her show at Bowery Ballroom there.